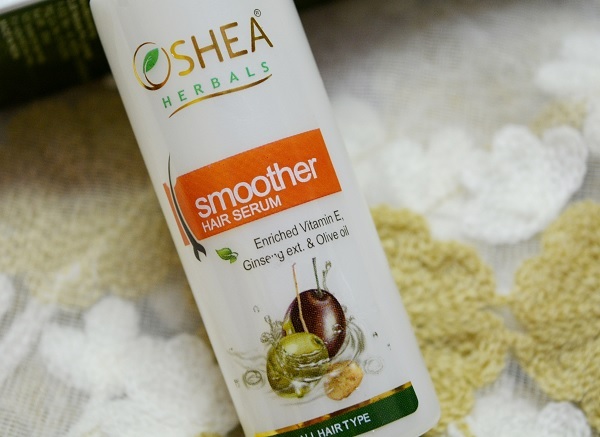 I am going to review Oshea Smoother Hair Serum today A hair serum is a very handy product when the hair gets frizzy or behaves badly. Price: 225 rupees for 50 g pack. 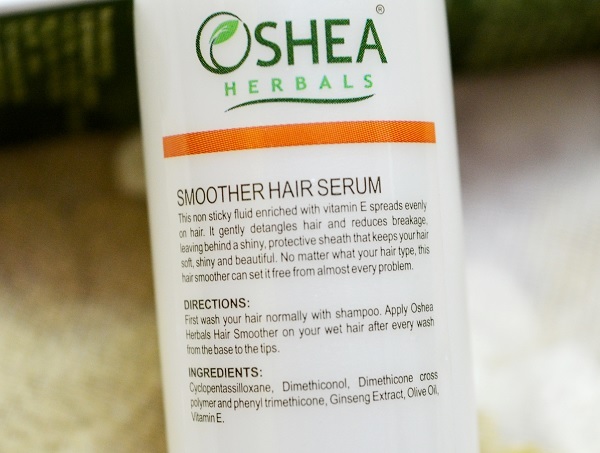 Oshea Smoother Hair Serum which gently detangles hair locks and exhibits extra shine, volume and bounce to the hair. 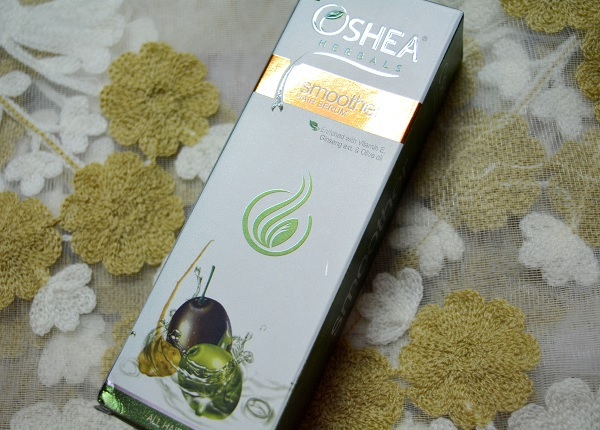 Amalgamated with Ginseng, Olive Oil and Vitamin E as active ingredients, this hair serum ensures protective shield from damages and bids healthy, soft and beautiful hair. The revolutionary unique blend of herbal extracts promotes healthy hair growth and makes hair smoother and stronger. This hair serum is non sticky and has liquid transparency which spreads evenly on hair. 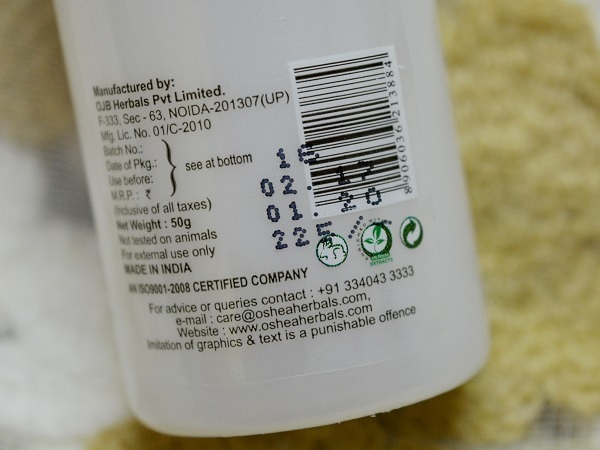 There is no harmful chemicals added in the formulation and hence is suitable for all kinds of hair whether it is dry, curly, rough and colored hair. I have tried so many serum so far and loved the effects that hair serum would give. The shine without the greasiness is what hair serums are known for. I do not have very dry hair rather they are silky hence most of the hair serums works well for me. 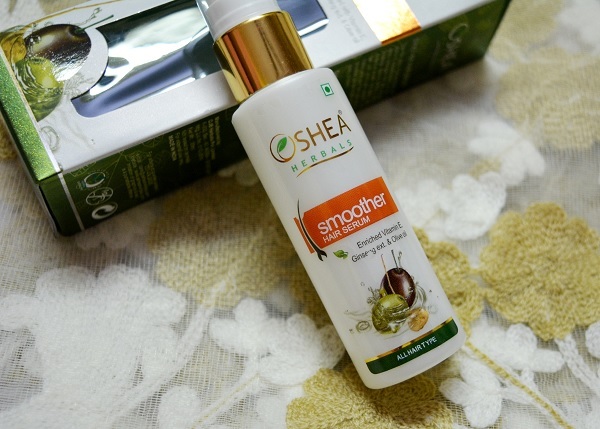 This Oshea Smoother Hair Serum comes in a 50 g pump pack. The pump works well and squirts out the right amount of product. The product is thick in texture and blends nicely all over the hair. It gives a nice sheen to the hair and hair looks amazing. Moreover, the smoothness that it gives is also amazing. The hair looks lustrous and feel silkier. To use this serum, just take 1-2 pumps of the serum and rub over the palms. Then spread all over the hair. I tend to focus on the hair ends more. Then would rub this all over the hair. Then would comb the hair once. This tiny bottle will last for 1-2 months. It also depends if you will be using this product daily or just after the hair wash.